The second largest city of Rajasthan, India, Jodphur is a popular tourist destination who come to see its many palaces, forts, and temples. Aside from these things, I felt that this arid city lacked the charm and character of other Rajasthani places such as Jaisalmer. 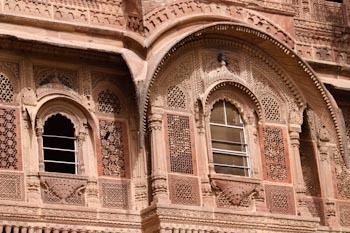 Nonetheless, Jodphur has an impressive fortress and would be a great stopping point when traveling between Udaipur and Jaisalmer. 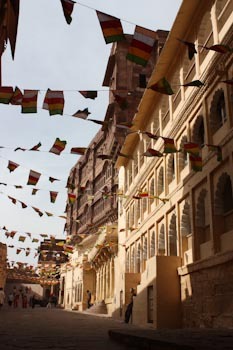 The town of Jodphur is crammed with narrow buildings, juxtaposed within impossibly narrow alleys. 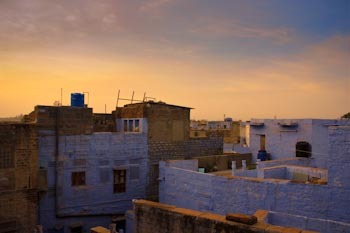 Nicknamed the “Blue City,” Jodphur is known for its periwinkle blue homes which originally denoted residence of the Brahamin caste. The Sadar Market continues to be a gathering place for locals and tourists alike, filled with stalls containing produce, crafts, spices, and household goods. 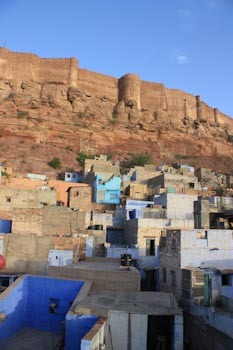 Looming over the dense old city of Jodphur is the Mehrangarh Fort. 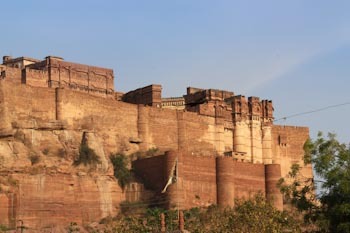 Built in 1459, it is one of the largest fortresses in India. A winding road leads you to the fortress, built on a 125 m (410 ft) high hill, with the stone walls up to 36 m (120 ft) in height. A series of seven gates leads you through the fort’s complexes, including exquisitely carved and decorated palaces. Its informative museum contains a large collection of palanquins, royal cradles, and miniature paintings for which Udaipur is famous. Particularly haunting are the small handprints, marking the sati(self-immolation) of the maharajah's widows who threw themselves on the funeral pyre in 1843. 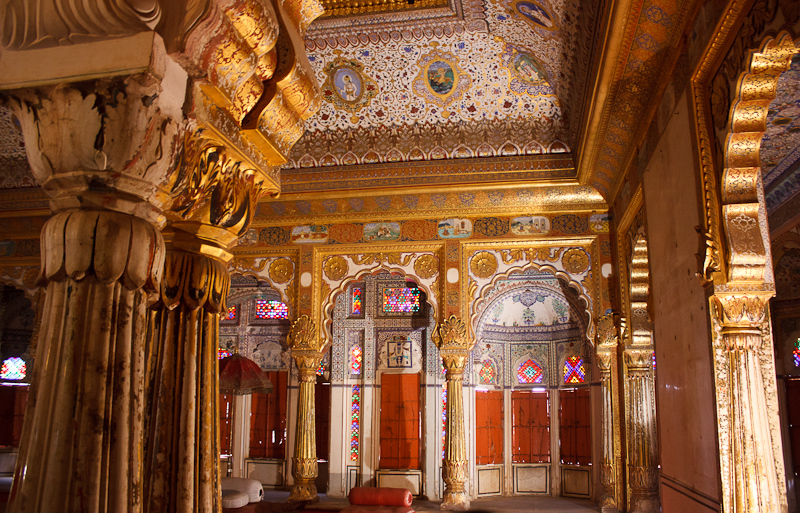 The opulent splendors of the palaces are a stark reminder of the division between the luxurious lifestyle of the maharajah and his constituents. 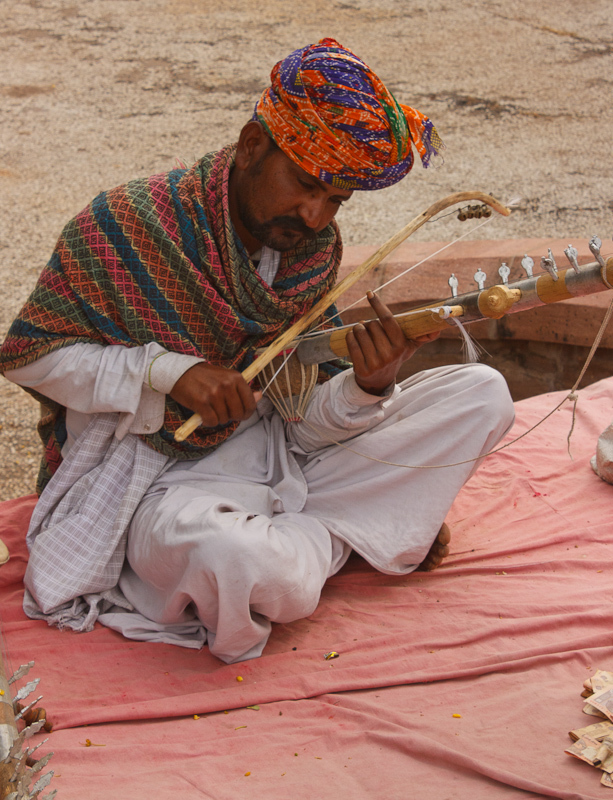 A short drive from Jodphur are a series of villages, each specializing in a different craft. 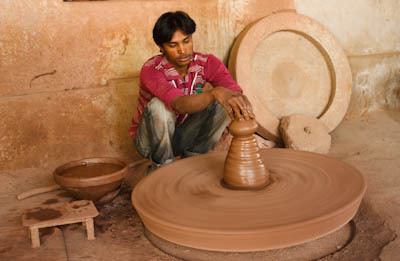 Each craft, such as ceramics, block-printed cloth, and weavings, are made by a specific caste passing down the tradition through many generations. 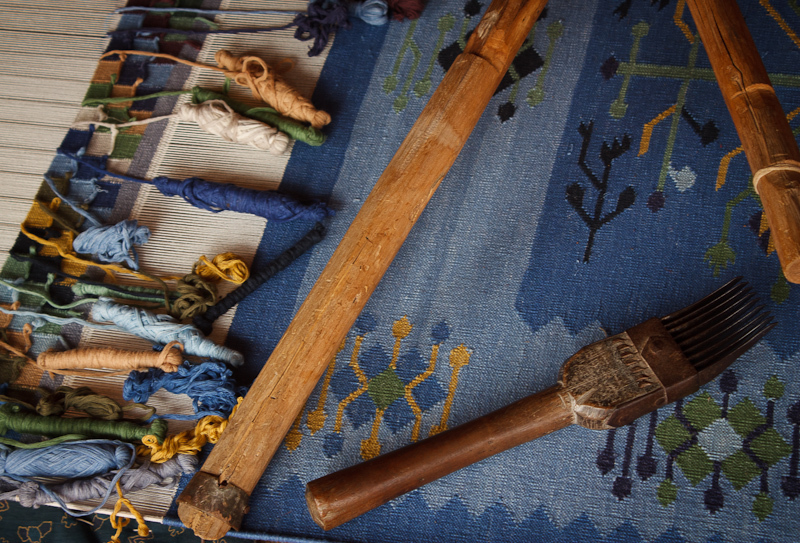 I found it amazing that the intensely-colored dhurry weavings used natural dyes. 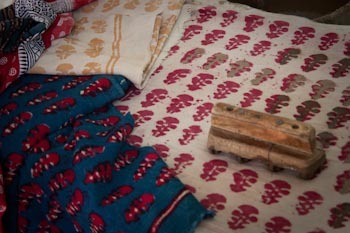 While visiting the crafts village, our driver took us to the home of a Guddha Bishnois member. 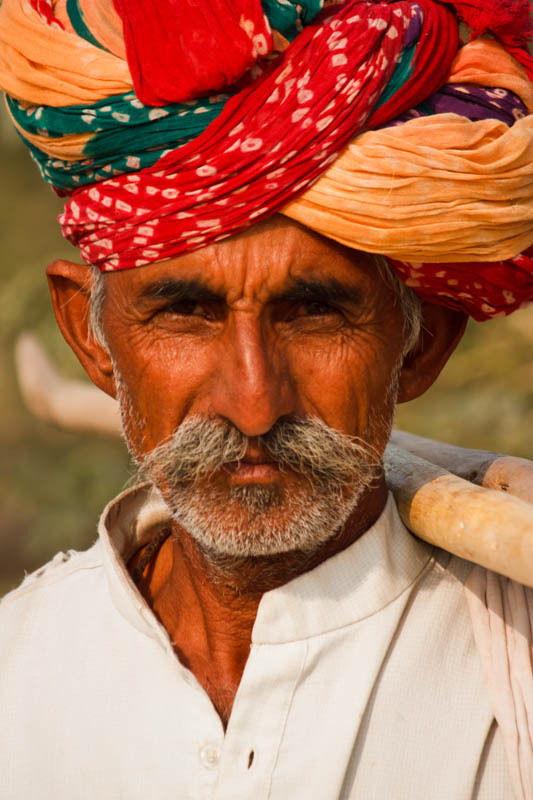 The Bishnoi are regarded as passionate environmentalists, with some even giving up their lives as the trees they were hugging to protect were cut down. 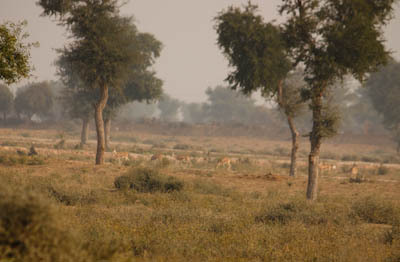 The normally timid blackbuck deer continue to run freely here, knowing that they are safe. At the home we visited, we met a 22 yr-old mother, her children, and mother-in-law. 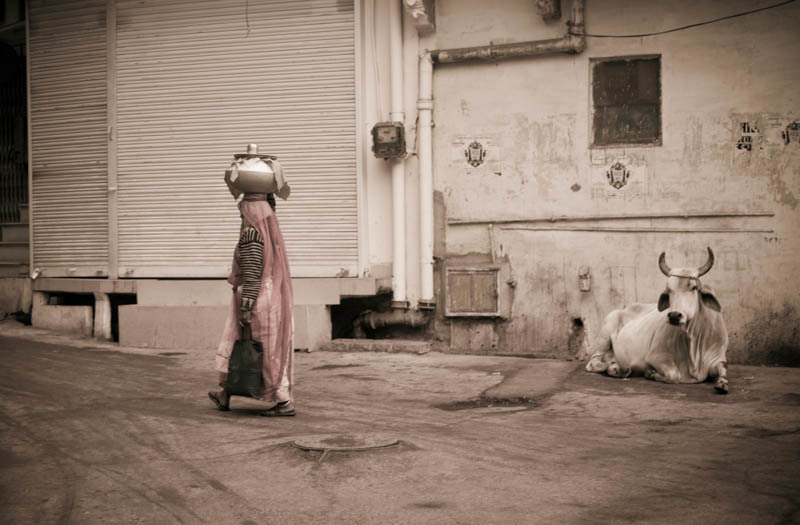 Note the large nose-ring attached to the ear with a string and the henna on her hands and feet.